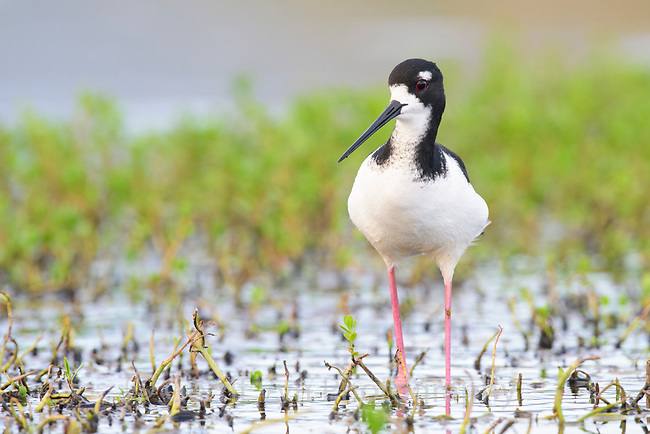 The Hawaiian Stilt (Himantopus mexicanus knudseni) is an endangered subspeices of the Black-necked Stilit. Oahu, Hawaii. January.